Are you looking for a used SUV that checks the boxes off your checklist of all your wants and needs? A used Buick SUV for sale can give you the comfort and luxury you crave while driving down the roads of Wisconsin. Your Ewald Chevrolet Buick dealership has a vast inventory of used Buick SUVs for sale near you. You can expect a broad range of prices to meet your budget need as well because of our wide selection of used Buick SUVs for sale near you at Ewald Chevrolet Buick near Milwaukee. That makes it even easier to find the used Buick SUV that is just right for you at our Ewald Chevrolet Buick dealership near Milwaukee! If the time has come for you to get out of the vehicle you are currently driving, then you should begin your search at Ewald’s Buick dealership near Milwaukee WI. Here at Ewald’s Buick dealership near Milwaukee, drivers everywhere can enjoy great deals on the incredible variety of used Buick SUVs for sale near you. We recommend checking out our website to those who prefer doing the research for your used Buick SUV for sale online. Find the used Buick SUV for sale that is right for you and see if the estimated payment is within your budget requirement when you utilize the online payment calculator. Give our Buick near Milwaukee dealership sales team a call and make an appointment for a test drive and explore all of your options. Let us help you find the right used Buick SUV for sale to meet your day to day needs for your next vehicle. We are confident that we have the perfect used Buick SUV for sale near you to meet those needs. 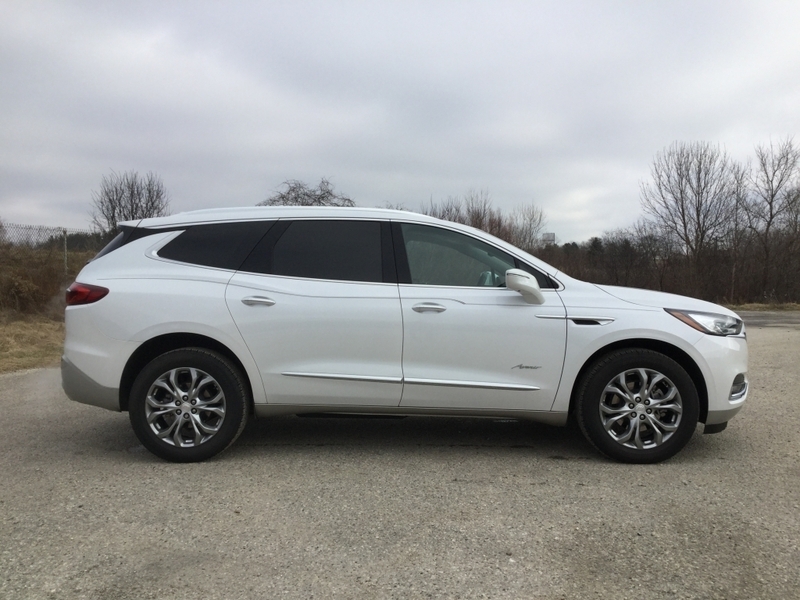 If you want a like new Buick without the new SUV price tag, check out the gently used 2019 Buick Enclave Avenir for sale. This used Buick Enclave for sale as very low miles and comes with many incredible features inside and out you won’t want to pass up. The all-wheel-drive system will have you cruising down the streets of Wisconsin with the traction you want during inclimate weather. And the built-in navigation system will get you to the unfamiliar places you need to get to without the worry of getting lost. The 3rd-row seating in this Buick Enclave for sale gives seating for up to seven comfortably. Some other features worth checking out include leather heated seats, dual skyscape sunroof, and satellite radio. Check out even more of the incredible features that this used Buick Enclave for sale comes equipped when you visit us at Ewald Chevrolet Buick near Milwaukee today. When it comes to a used Buick Enclave for sale, Ewald Chevrolet Buick is the only Buick dealership near Milwaukee that you need. We want to help you to find your next used Buick SUV for sale to meet your needs. Stop on by Ewald Chevrolet Buick near Milwaukee today for our incredible selection of used Buick SUVs for sale. You will find Ewald Chevrolet Buick located at 36833 E Wisconsin Ave in Oconomowoc WI, 53066 to check out our used Buick SUVs for sale near you in person. Or call us with questions or to schedule your test drive at (262) 226-2842.